I’ve said it before and I’ll say it again. When it comes to Porsche, I’m a purist. I like my Porsches stock, straight from the factory. It’s not that I don’t appreciate modifications and the extra performance (or in this case utility) that comes with them, I just prefer things the way Porsche meant them to be. 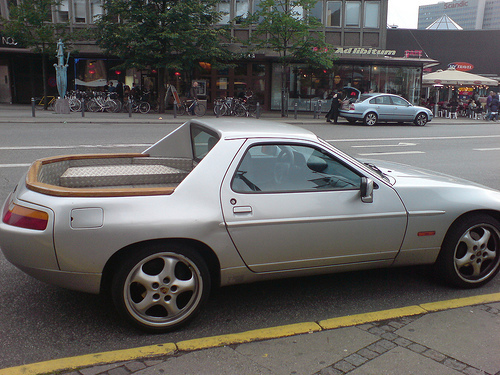 That’s why creations like Harry Thomas’ Porsche 928 pick-up seem to bowl me over with their audacity. Thomas is a collector of all things fast. Unlike some, he's not a one marque collector, as the Ferrari’s, Merecedes and Lamborghinis in his garage will attest to. Even with all these, arguably, unique supercars at his disposal. Harry still yearned for something dfferent, something that would stand out on the street (Ferrari’s and Lambo’s don’t stand out?) Taking a page right out of the Porsche history books, when he couldn’t find what he was looking for, he decided to build it himself. Here’s the video for you to judge for yourself. What do you think of this type of mod? Surprisingly enough, his 928 pickup doesn't stand alone. There were/are at least two other 928 pickups I found while searching. Here are a couple of pictures for you. What are some of the strangest Porsche mods that you have seen? I’ve seen this before and I love it! Wild. 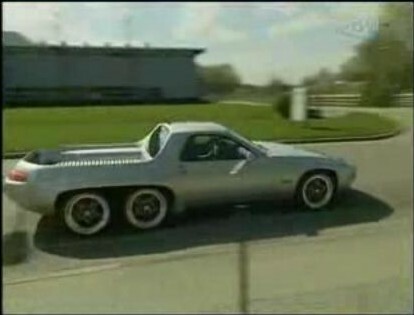 This is not modifying a Porsche. This is building a whole new car. And it goes to show, quality matters. This is so well done. The hacked up 928 with diamond plate bed is garbage. But this dual-axle meaning is great. There is no denying the quality of this build/fabrication. What I don’t get is why did he have to do it to a GTS? Why not an older 928 (even an S or S4?) I guess I just have an affinity to the GTS. They only made a few more than 2k of them and I hate to see them get chopped up, no matter how nice of a job it is. I think he did a wonderful job about a 1 of a kind Very unique looks good to me I’d be proud to own it and drive it it’s interesting that the Porsche factory guys came to the licensing thing gave the go ahead that kind of tells me The factory could have flagged it if they wanted to but they didn’t I think they respected The uniqueness of it and the craftsmanship they build cars every day they probably found this thing cool kind a like a concept car! I stayed in the builder excellent job Sir! PS I would be proud to own it and even more proud if I had build it ! If the diamond plate has tie-downs, that could be the ultimate camera car! Imagine something capable of shooting a 935 or a new 997 GT3 RSR at speed! Pursuit Systems, a film/video company in southern California mounted a camera boom on top of a flat-black-painted Cayenne Turbo to shoot movies and commercials. Why not the 928-tandem. And it appears to be as well turned-out. But I’ve always had a soft-spot in my heart (or is that my head?) for purpose-built vehicles. 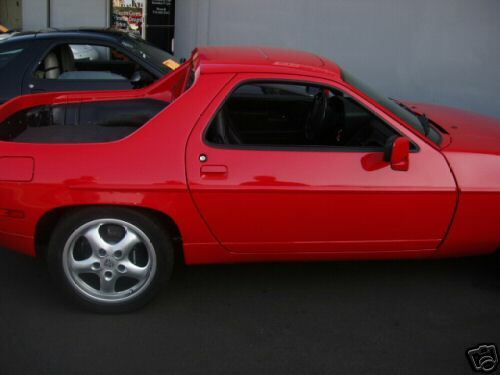 Many of these pick up 928’s came from Denmark where there was an astronomical TAX on sports cars. If you made your 928 into a utility truck it avoided the TAX. I want one, I think I’ll make one but swap the old 928 engine out for a Corvette LS6. Now that’s a UTE! It’s done in Denmark to avoid a draconian 350% (!) tax on passenger cars. Pickups, even customs based on coupes or sedans, get in free of charge. The grey porsche is danish ;D i just found it on google street view, i saw it everday at nordhavn in denmark on my way to work. A really cool car..